Across the street from Gracie Mansion, New York Mayor William de Blasio’s home, were hundreds of demonstrators on Dec. 16. 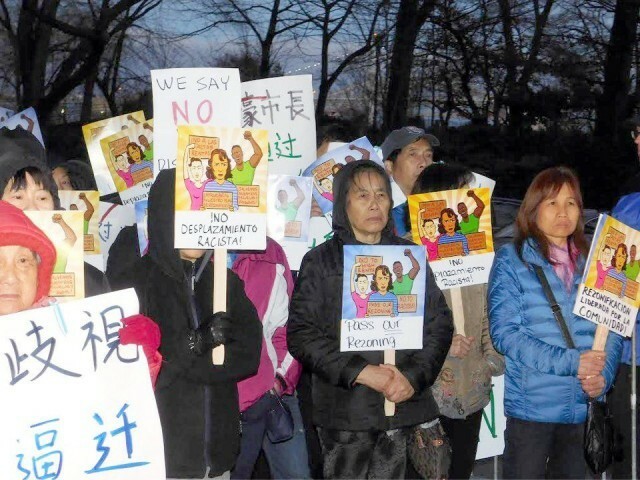 Led by the Coalition to Protect Chinatown and the Lower East Side, speakers exposed politicians for selling out the working class and the oppressed communities in the interests of big real estate developers. This comes at a time when Assemblyperson Sheldon Silver was convicted Nov. 30 for kickbacks to real estate developers, whose main objective is to gentrify working-class and oppressed communities. Activists are mobilizing town hall meetings to decide on a rezoning plan that is best for them, based on the principle of affordable housing for all.